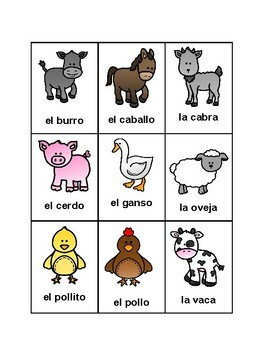 This activity is a fun, no prep puzzle to introduce or review farm vocabulary in Spanish. 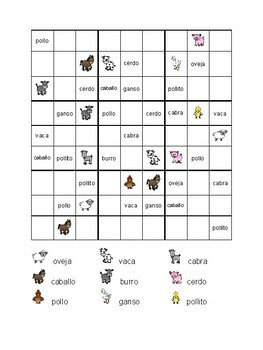 This is a wordoku which uses pictures and words instead of the numbers used in sudokus. There are two levels of help in the wordoku to allow for differentiated instruction. 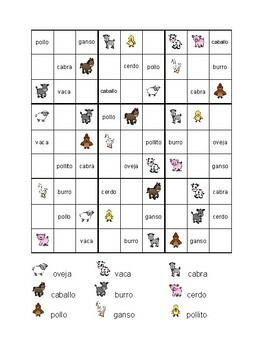 Also, a set of flashcards are included.